JINJA – Bul FC will be hoping to make it two wins on the trot when they host Nyamityobora FC at the Njeru Technical Center on Thursday afternoon. 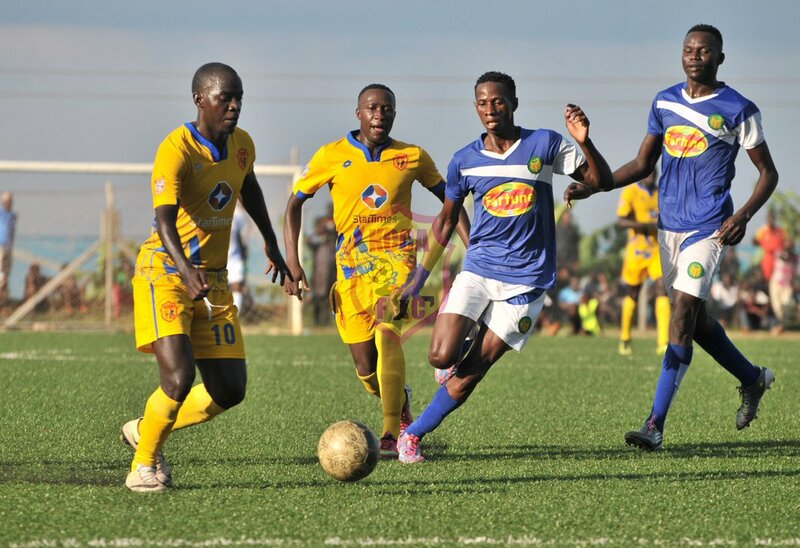 Peter Onen’s side defeated SC Villa 1-0 in their last game thanks to Pierre Kambale’s lone strike and a chance to win a second presents its self-inform of struggling Nyamityobora. Bul currently sit in an impressive 5th position on the log with 22 points from their first 14 games. For Nyamityobora, they are still struggling at the wrong end of the table despite appointing Asaph Mwebaze as the head coach. Since the former Maroons and Ondupraka head coach’s appointment, the Western Region based side have only won two games, one coming in the Uganda Cup Round of 64 away to East Lands. The other was the 2-0 win over Ndejje University on the 14th of December. At the kick of the first ball on Thursday, Nyamityobora occupy one of the three relegation spots with with only 8 points from 14 games. They currently sit 6 points away from the drop zone and will need to start accumulating points as soon as possible if they are to mount a serious bid to avoid an instant return to the Big League. This is the first meeting between the two sides in the top flight. Against the other two newly promoted, Bul have registered six points so far. They first defeated Paidah 3-0 before walloping Ndejje University 4-1. Onen’s side go into Thursday’s game having won only two of their last 8 league fixtures (D3 L3). At home, the Jinja based side are currently on a two game losing run. However, both these defeats came against the top two sides (KCCA FC and Vipers SC). For Nyamityobora, they head into the game having won only one of their last 8 games in the League (D1 L6). Away from home, they have lost six of their first 7 games this season (D1). The only game they got something out of on the road was the 0-0 draw against URA FC at the start of November.